Built as a hydrographic-survey vessel by Robb Caledon, Leith for the Royal Navy. 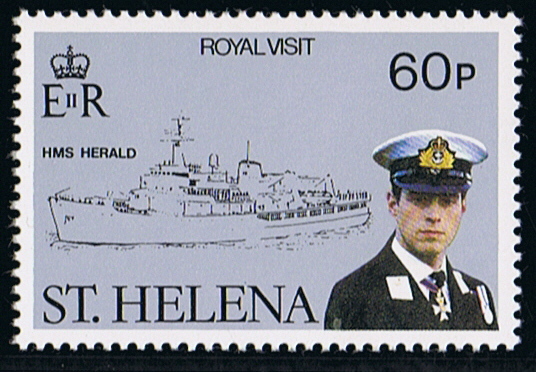 04 October 1973 launched under the name HMS HERALD (A138), godmother was Mrs. Hall, wife of the Hydrographer to the Navy. The HERALD was one of the Heckla class of which four were built, she was the last vessel of that class, and an improved Hecla class. Displacement 2.000 ton standard, full load 2.945 ton. Dim. 79.0 x 15.4 x 4.9m. Powered by a three 12-cyl. Paxman Ventura diesels, driving one electro motor, 2.000 shp, speed 14 knots, one propeller. Fitted out with a bow thruster and stabilizers. Range 12.000 miles by 11 knots. Fitted out with a hangar and a flight deck for a Wasp helicopter. Carried two small survey craft and a launch and a land rover. Building cost of the class £ 1.25 million each. 1982 During the Falkland conflict she was used as an ambulance ship, at that time she had two surgeons-Lieutenants, four medical assistants and 30 of her crew were trained as nurse. 24 April 1982 she sailed from Portsmouth. She and her sister HECKLA and HYDRA ferried up to 100 non-critical patients a time from the hospital ships off the Falklands to Montevideo. 1983 Used as a South Atlantic Guard ship. 1988 Refitted with a strengthened and extended flight deck for Lynx helicopters. Between 1991 and 1992 used as an Ice Patrol vessel, also many times used as mine counter measure support ship during exercises and during the Persian Gulf War. 1998 Her hydrographic equipment located the wreck of the pre-dreadnought battleship RUSSELL lost at Malta during World War 1. 1998 Pennant number changed to H 138. 31 May 2001 paid off. July 2001 sold to merchant service as a survey vessel. Bought by Hanley Marine Services, Waterford, Ireland, renamed SOMERVILLE. Tonnage 2.567 grt, registered under the flag of St. Vincent and Grenadines, call sign J8B2560 IMO No. 7330349. Managed by Global Ocean Technologies, Waterford, Ireland. 2004 Sold to Indian ship breakers, she arrived Alang 12 June 2004, and was beached 18 June 2004. 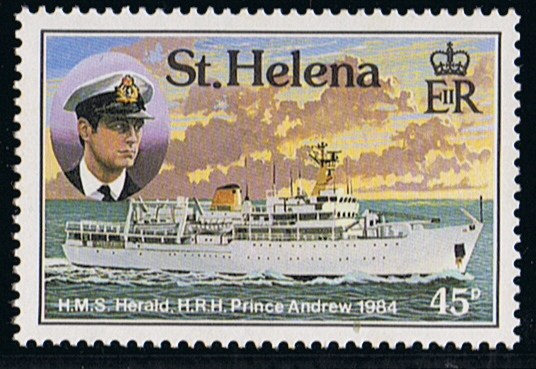 St Helena 1984 60p sg 437, scott?. 1987 45p sg504, scott?. Sources: Ships of the Royal Navy by J.J.Colledge. Merchant Ships at war by Roger Villar. Marine News 2004/507.